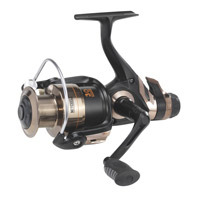 The Agility FD and RD Coarse Reels represent amazing spec and quality at this price point. All the reels are fully saltwater resistant thanks to the Stainless Steel bearings and hardware, making them also ideal for light rock fishing . The classic matt black body finish and anodised aluminium spools are finished off with a red spool finish. Hardwearing drags, classic line lay and a heavy-duty bail wire complete the new Agility reels.  Graphite body with metal side cover for precise gear alignment.  Anti-twist titanium coated line roller & sure click bail.  Smooth multi-disc drag system.  One way clutch instant anti-reverse bearing.  1 spare graphite spool. The Mitchell Avocet IV Gold Reels have been designed for optimal performance while keeping the reliable operation that Mitchell reels are known for. With 8 super smooth bearings and a quick-stop anti-reverse, these new reels will stop a fish in its tracks and effortlessly bring it back to the bank or the boat. Features a dual bearing supported pinion gear for perfect gear alignment and smooth all-day operation. Rovex Varona reels have established an enviable reputation in the UK market as a dependable product at a down-to-earth price. Varona reels are built tough, with ported aluminium spools and machined aluminium handles. The rear drag reels have been upgraded with a five ball bearing system. The front drag models have a reduced price to make them even more competitive. 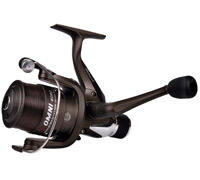 A comprehensive range of Omni reels. 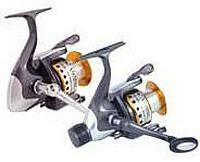 Shakespeare has ensured that these reels have a great specification and modern looks despite the low price point.  Front and rear drag models.  Graphite spools on front and rear. The Mitchell Avocet Bronze IV Spinning Reels share the same body as the Avocet Gold and Silver versions with a bronze design. 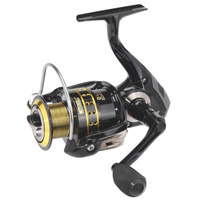 Designed to become the starting price point in this famous Avocet reel series.  3 bearings with instant anti-reverse for smooth operation.  Multi-disk drag system for consistent drag pressure.  Neverfail bail spring system.  Rapid drag system for unmatched fish fighting capability.